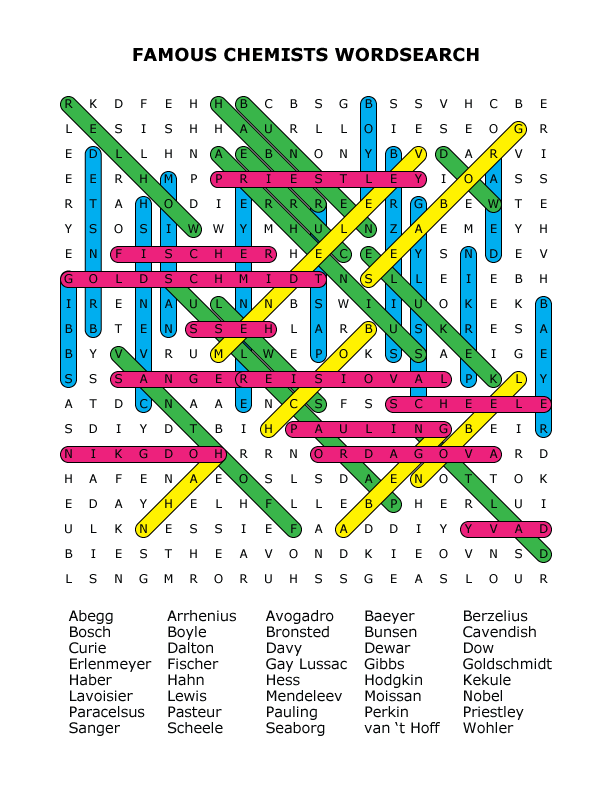 This wordsearch puzzle has the names of 40 of history’s greatest chemists. 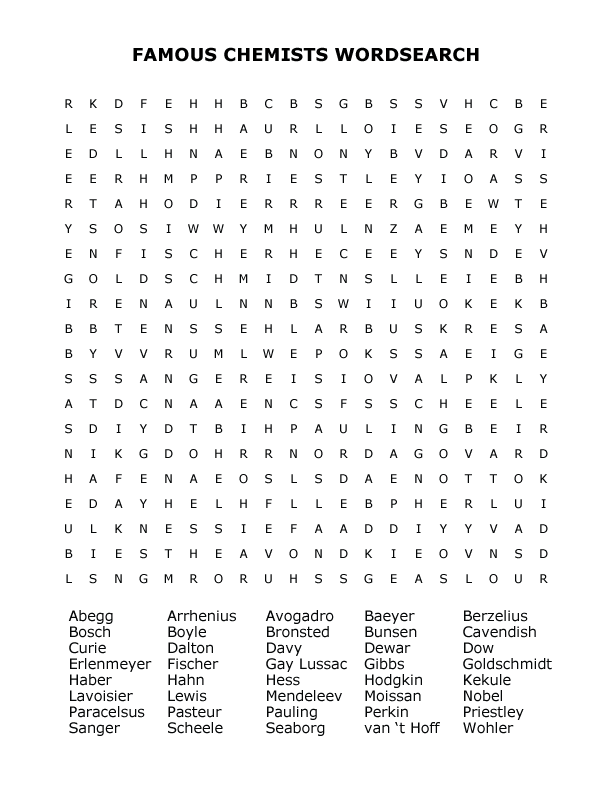 Download the Famous Chemists Wordsearch PDF and print off a copy today. Try and find the chemists by searching vertically, horizontally and diagonally. If you need some help finding someone, take a peek at the solved puzzle or download the PDF of the solution.